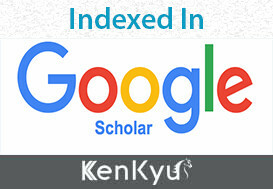 KENKYU Group will support authors by posting the published version of articles by NIH grant-holders to PubMed Central immediately after publication. The title should be limited to 25 words or less and should not contain abbreviations. The title should be a brief phrase describing the contents of the paper. Complete names and affiliation of all authors, including contact details of corresponding author (Telephone, Fax and E-mail address). The abstract should be informative and completely self-explanatory, briefly present the topic, state the scope of the experiments, indicate significant data, and point out major findings and conclusions. The abstract should summarize the manuscript content in 300 words or less. Standard nomenclature should be used and abbreviations should be avoided. The preferable format should accommodate a description of the study background, methods, results and conclusion. Following the abstract, a list of keywords (3-10) and abbreviations should be included. The introduction should set the tone of the paper by providing a clear statement of the study, the relevant literature on the study subject and the proposed approach or solution. The introduction should be general enough to attract a reader’s attention from a broad range of scientific disciplines. This section should provide a complete overview of the design of the study. Detailed descriptions of materials or participants, comparisons, interventions and types of analysis should be mentioned. However, only new procedures should be described in detail; previously published procedures should be cited and important modifications of published procedures should be mentioned briefly. Capitalize trade names and include the manufacturer's name and address. The results section should provide complete details of the experiment that are required to support the conclusion of the study. The results should be written in the past tense when describing findings in the authors'experiments. Previously published findings should be written in the present tense. Results and discussion may be combined or in a separate section. Speculation and detailed interpretation of data should not be included in the results but should be put into the discussion section. If an author fails to submit his/her work as per the above instructions, they are pleased to maintain clear titles namely headings, subheading. 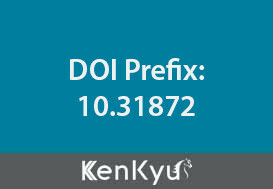 KENKYU GROUP uses the numbered citation (citation-sequence) method. References are listed and numbered in the order that they appear in the text. In the text, citations should be indicated by the reference number in brackets. Multiple citations within a single set of brackets should be separated by commas. When there are three or more sequential citations, they should be given as a range. Example: "... now enable biologists to simultaneously monitor the expression of thousands of genes in a single experiment [1,5-7,28]". Make sure the parts of the manuscript are in the correct order for the relevant journal before ordering the citations. Figure captions and tables should be at the end of the manuscript. emmli UK (1989) Cleavage of structural proteins during the assembly of the head of bacteriophage T4. Nature 227: 680-685.
emmli UK, Brusic V, Rudy G, Hammer J, Harrison L (1998) Prediction of MHC class II- binding peptides using an evolutionary algorithm and artificial neural network. Bioinformatics 14: 121-130. If the submission is in PDF format, the author is requested to retain the same in .doc format in order to aid in completion of process successfully. All Supplementary Information is supplied as a single PDF file, where possible. File size within the permitted limits for Supplementary Information. Electronic proofs will be sent as an e-mail attachment to the corresponding author as a PDF file. Page proofs are considered to be the final version of the manuscript. With the exception of typographical or minor clerical errors, no changes will be made in the manuscript at the proof stage. Authors will have free electronic access to the full text (HTML, PDF) of the article. Authors can freely download the PDF file from which they can print unlimited copies of their articles. 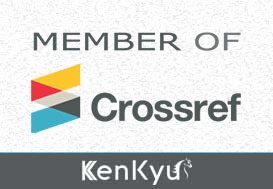 All works published by KENKYU Group are under the terms of the Creative Commons Attribution License. This permits anyone to copy, distribute, transmit and adapt the work provided the original work and source is appropriately cited. Authors are solely responsible for any scientific misconduct including plagiarism in their research articles; publisher is not responsible for any scientific misconduct happened in any published research article. As a publisher we will follow strictly scientific guidelines and EIC’s advice to retract or erratum of any article at any time if scientific misconduct or errors happened in any articles. KENKYU Group is a self-supporting organization and does not receive funding from any institution/government. Hence, the operation of the Journals is solely financed by the handling fees received from authors and some academic/corporate sponsors. The handling fees are required to meet maintenance of the journals. Being an Open Access Journal, we do not receive payment for subscription, as the articles are freely accessible over the internet. Authors of articles are required to pay a fair handling fee for processing their articles. However, there are no submission charges. Authors are required to make payment only after their manuscript has been accepted for publication. Research, Review, Case report, Perspective, Methodology, Opinion, Theory, Thesis, Commentary, etc.